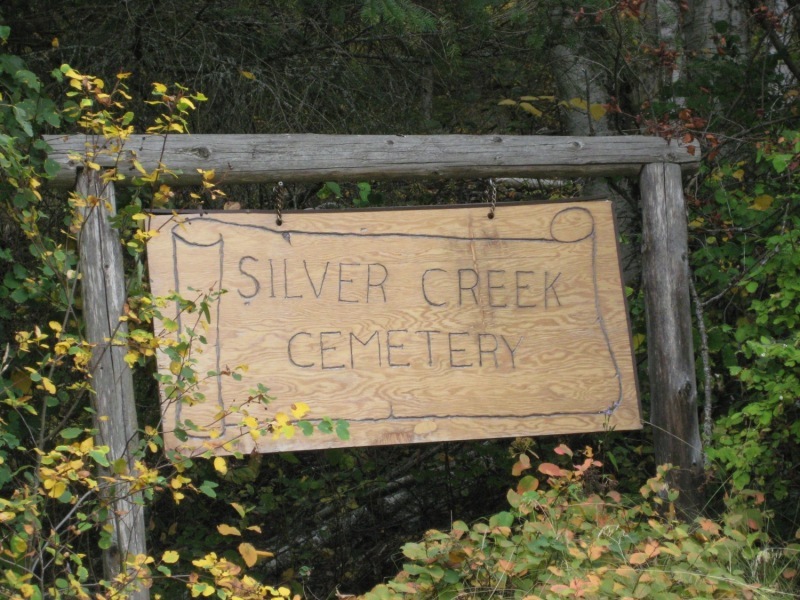 The following is a transcription of the Silver Creek Cemetery located in Silver Creek, British Columbia, Canada. Latitude: 50o 35' 43.26" N.
Longitude: 119o 21' 53.42" W.
The Silver Creek Cemetery is very special and unique, with plenty of character. 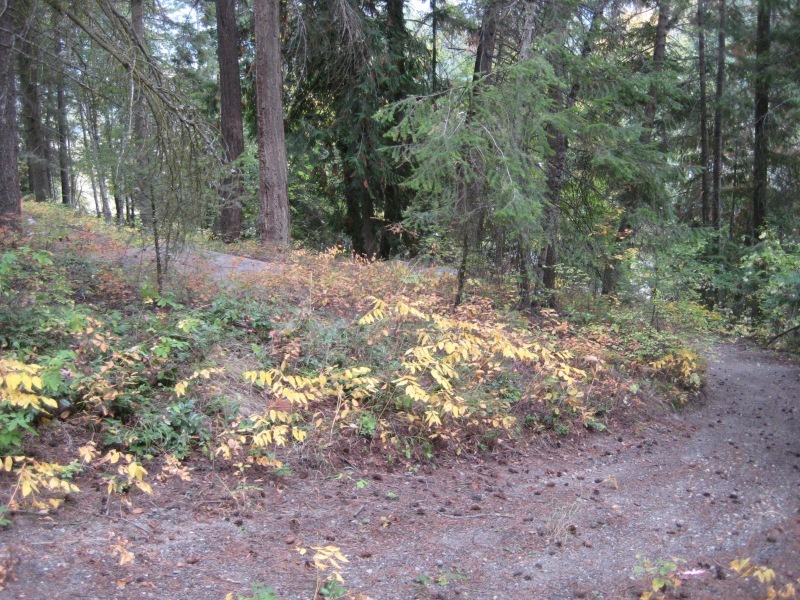 The cemetery is located on Salmon River Road in the heart of Silver Creek. 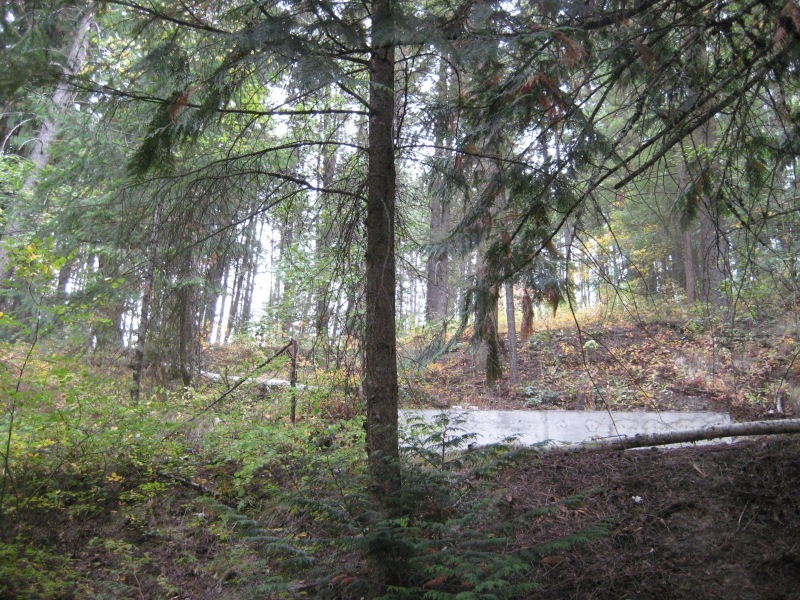 This is a public cemetery with the earliest marked burial in 1911; however records from the Methodist Church and Salmon Arm Observer indicate burials as early as 1908. The cemetery is still in use today. It appears to be only partially maintained. The cemetery is located on steep terrain where the vegetation is thick with trees and bushes. There are no lawn or grassy areas. Some clearing is done on occasion. The graves are arranged in tiers. There are approximately 98 marked graves, along with a monument saying "The Wall Family". The cemetery is laid out in five sections (A, B, C, D and E). There are a number of unmarked graves that are discernable. The markers are mainly made of slate, marble or concrete material, however there are some metal funeral home markers. The cemetery is surrounded by a barbed wire fence although portions of this fence are falling down. Turn north on Salmon River Road and it is 18.4 km to cemetery. 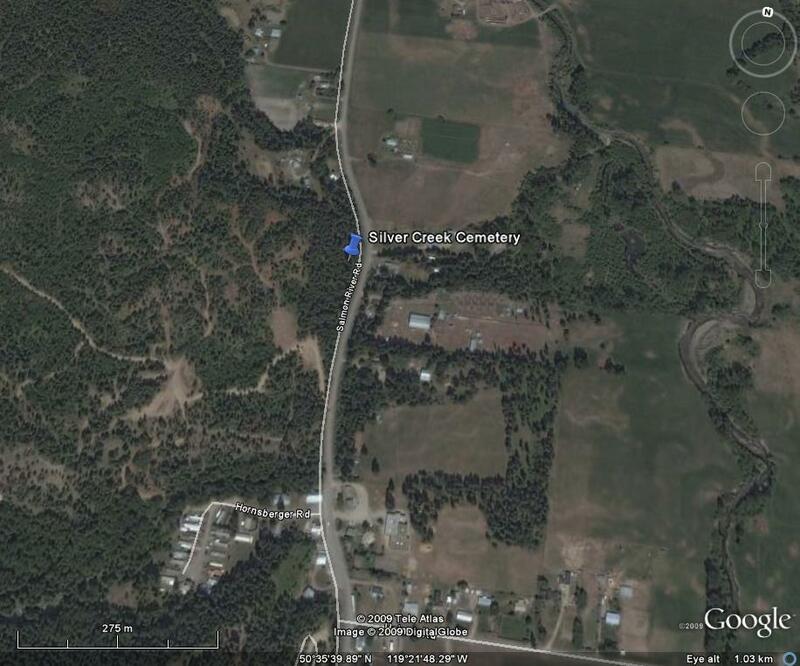 The cemetery would be on the left hand side past the Silver Creek store. Turn south (left) on to 80th St. S.W. for 6.3 km. (8th becomes Salmon River Road). The cemetery is on the right hand side and is not easily seen from the road.